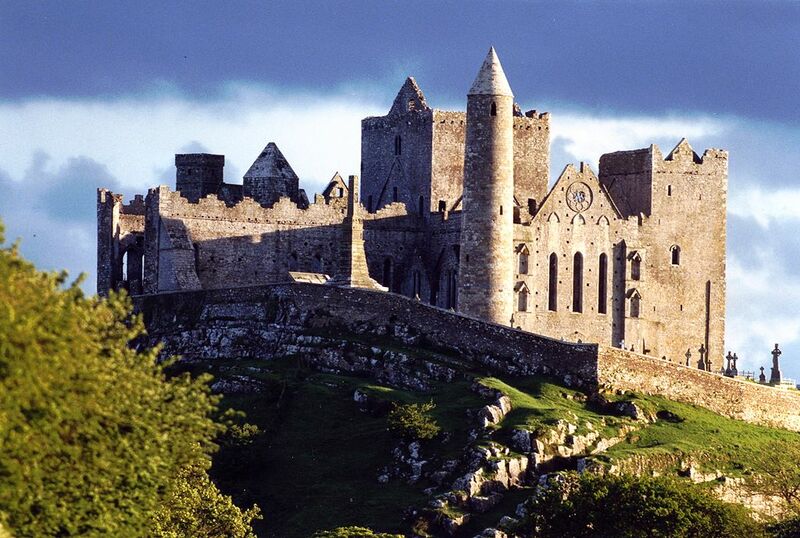 Usually on the first day of your tour with Ireland and Scotland Luxury Tours we visit the “Rock of Cashel”. Crowning the plain of Tipperary, St Patricks rock marks one of the most important historical sites in Ireland. Legend has it that during Patricks ten year stay he first used the Shamrock here in demonstrating the Trinity. This is the traditional home of the Kings of Munster and was more than likely fortified in the fourth century (over a hundred years before Patricks visit). As the political and religious centre of the province it has played host to an unbroken string of battles, consecrations, and coronations. After the Norman conquest, Henry the second proceeded from his landing in Waterford to Cashel, to receive the homage of the Gaelic chieftains and the allegiance of the Bishop of Cashel. The rock holds a treasury of antiquities dating back to Pagan times. Cormac’s Chapel once had a stone ceiling crafted by Rhineland masons. This mini cathedral was built in 1124 and remains as the masterpiece of the ancient churches. Book a tour with Ireland and Scotland Luxury Tours and see all of the hidden gems on your tours of Ireland!